“History of Aviation” playing cards published by Lo Scarabeo (2003) in which every card carries a painting representing an aspect of the history of powered flight. 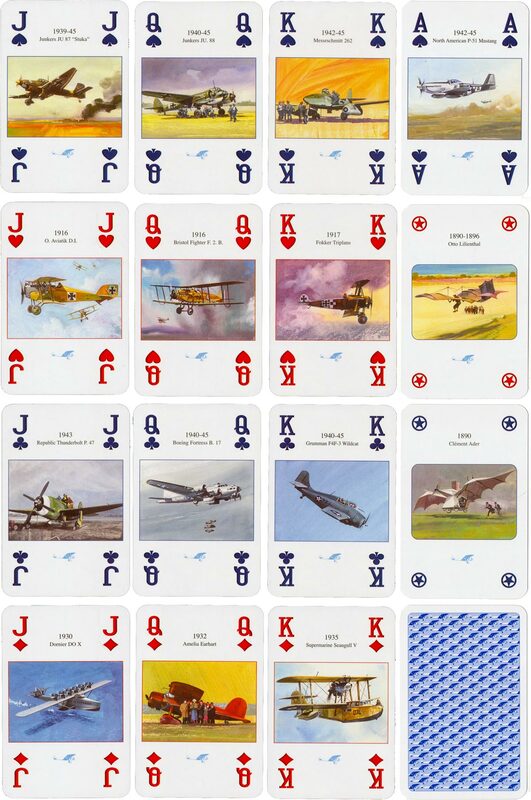 Above: “History of Aviation” playing cards published by Lo Scarabeo (2003) in which every card carries a painting representing an aspect of the history of powered flight. 52 cards + 2 jokers in box. Images courtesy Matt Probert.